When news of renewed protests in Sudan started to spread in late September, many in the community of activists who were part of the summer protests of June/July 2012 (dubbed the Sudan Revolts) took the news with a dose of cautious optimism. The Sudan Revolts left us feeling crushed - to say the least. When news of renewed protests in Sudan started to spread in late September, many in the community of activists who were part of the summer protests of June/July 2012 (dubbed the Sudan Revolts) took the news with a dose of cautious optimism. The Sudan Revolts left us feeling crushed - to say the least. 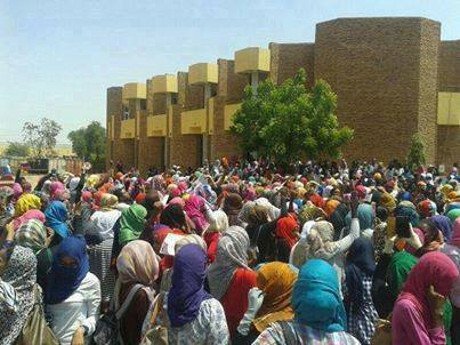 The earlier wave of country-wide protests had been triggered by Khartoum University female students protesting economic austerity measures. The Sudanese government’s swift campaign of arrests led to most of the student leaders, youth movement leaders, and the younger leadership of political parties being held behind bars for up to two months without charges. Many endured physical and psychological torture, including extended periods of solitary confinement. Some left the country because of repeated threats to them and their families. Others still languish in self-imposed exile. When the Sudan Revolts reached Nyala in Darfur on 31 July 2012, they were met with brutal force by state authorities, killing 12 and injuring at least 80 (mostly students). This was followed in December of 2012 with a government campaign targeting the most reputable civil society institutions, and closing five of them permanently. The one clear lesson was that as protesters we were simply not ready for the scale of protest needed to effectively call for regime change. We were a minority that lacked popular street support. And we needed to work—perhaps for years, some of us thought, to gain that critical following from the street. For months leading up to the latest protests Sudanese citizens had experienced a steady decline in public services and a sharp rise in the prices of basic commodities. The privatization and closures of public hospitals and the neglect of the public educational sector had led normal citizens, doctors and public school teachers to protest in a scattered and non-sustained manner. A natural disaster provided a tipping point for public frustration in August 2013 when seasonal floods hit most of the country, killed 36 people, destroyed 75,000 houses, and affected more than half a million people. The Sudanese government’s performance was negligible, and a Khartoum-based civil society coalition of youth called Nafeer (inspired by a Sudanese tradition where communities get together to aid those in need) sprung to action, coordinating a huge relief effort that attracted about 8,000 volunteers, including partners in the private sector. When relief supplies did arrive from around the globe they were seen for sale in local markets rather than being distributed for free as intended. These experiences made it clear to Sudanese citizens that the state’s priorities are elsewhere - namely in investing in manufacturing and militarism, and not in supporting the citizenry even in the face of environmental crisis. The experience of Nafeer demonstrated that the disgruntled citizens of Sudan no longer had to consider the question “what is the alternative leadership?”. There was clearly a new generation of youth waiting to lead in the face of the crumbling yet repressive regime clinging desperately to power. The protests in late September 2013, although short-lived, have shifted the power dynamics in Sudan. These protests started in Wad Madani in Gazeira State on September 23, and quickly spread to other major towns including Khartoum, Al Obied, Sinnar, Gadarif, Kassala, Port Sudan and Nyala. What we saw in September was a popular revolt, with the most diverse and populous participation ever witnessed in the last 24 years under the ruling National Congress Party’s (NCP) rule. Although the trigger was the lifting of economic subsidies from fuel and essential foodstuffs, protesters called for regime change from the outset, with school students and youth leading the way. One of the first amateur videos to document the protests was of female secondary school students in Khartoum chanting, “the people want the downfall of the regime”. By the second week of protests the government started rethinking its “shoot to kill” policy amidst mounting criticism from within its ranks, and clear frictions between its police and security forces. On September 28, 31 reformist members of the ruling party referred to as Sa’ihoon, signed a public letter asking Omer El Bashir to reinstate the subsidies and to: “stop the censorship of the national press; allow freedoms granted by the constitution including freedom of peaceful protest; conduct objective investigations on the shooting of protesters and hold those responsible accountable; and compensate those impacted by death, injury and vandalism.” The letter ended by telling El Bashir that, “the legitimacy of your rule has never been at the brink as it is today”. The NCP has ignored the request to investigate the shooting of protesters, and it has initiated a commission of inquiry to question NCP members who signed the public letter, making it clear that criticism from within is not acceptable. Last month, top level NCP members who signed the letter, such as Ghazi Salahulddin had received notices of suspension from the NCP. Soon after this, a new political party - the National Movement for Change - composed of ex-NCP members was announced. 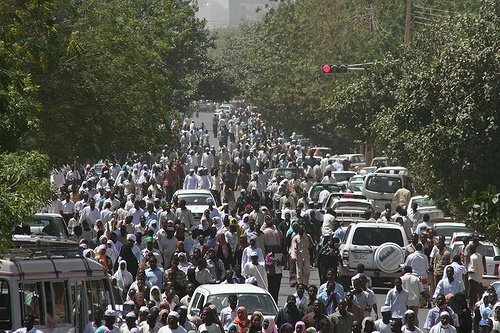 Condemnations of Khartoum’s brutal reaction to peaceful protest were issued within the first few days by the United States, United Arab Emirates, European Union, Britain, and the United Nations. However, the international community seems to not be learning from its long engagement with Sudan and continues to engage only at the level of cosmetic crisis management. The international community, and especially the United States, invested billions of dollars in humanitarian aid, peacekeeping and the brokering and implementation of the Comprehensive Peace Agreement (CPA) that ended Africa’s longest civil war and resulted in the separation of the South and the creation of South Sudan. Nonetheless the international community continues to reward the NCP for a half-hearted implementation of the CPA. Neither the CPA nor the separation of South Sudan have ensured the stability of the two neighbouring countries, because the regime in Khartoum is focused on remaining in power at all costs. For almost a quarter of century Khartoum’s governance approach has been characterized by the political and economic marginalization of the peripheries, resulting in a country that is mostly at war with itself. The current economic crisis is a result of Khartoum’s policy of excessive dependency on oil exports since 1999, to the neglect of other industries such as agriculture. Amongst all the African and Middle Eastern countries, Sudan spends the lowest percentage of its national budget on education and health, and the highest (almost 80% ) on an elaborate military and security apparatus. Nonetheless the international community continues to broker economic deals with the regime in Khartoum and to give it loans. In April 2013 the World Bank gave Sudan a grant for basic education of $76.5 million. In early October 2013 the government of Qatar injected a loan of $1 billion into the Central Bank of Sudan to stabilize the exchange rate and address the severe shortage in foreign reserves (the second such loan in the last year). Additionally the government of Sudan recently announced a business deal with the British South East African Mining company (SEAM) to extract gold. On October 3, the Italian government hosted a business conference in Rome for Sudan to discuss trade, inviting a top-level delegation from the Sudanese government that included the Minister of Foreign Affairs, Ali Karti. Sudan’s Minister of Finance, Ali Mahmoud and his Undersecretary attended the annual World Bank/ International Monetary Fund meeting in October this year with no official critique. The statement by the IMF summarizing a “Technical Working Group Meeting on External Debt” focusing on Sudan totally disregarded the ongoing protests, the Sudanese government's use of violence and its suppression of fundamental freedoms. It even went as far as welcoming, “progress made by Sudan, including the recent implementation of difficult reform measures”. Moreover, the IMF’s Mission Chief for Sudan commended Sudan for its “long track record of implementing sustainable economic policies”. The pattern in international diplomacy and development is clear now. Whatever loans the government of Sudan gets will not go towards sustainable economic solutions to relieve its impoverished population, although they will likely result in massive debt burden on generations to come if the root causes of bad governance continue to be ignored. On the ground we know that the regime in Khartoum is less popular and more divided than it has ever been. The peaceful protest movement - in which young women are a driving force - continues to grow in spite of an international community that has continued to choose economic interests over human rights, and in doing so has so far failed to offer tangible support for the democracy that Sudanese citizens are demanding.